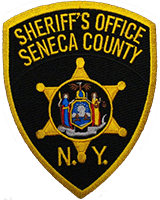 The Seneca County Sheriff’s Office reports that on April 9th 2019 at 04:00 AM deputies arrested Travis M-G Sheldon, 24, of 5571 State Route 96 Romulus NY, at 2202 State Route 96 in the Town of Ovid. Sheldon was charged with Driving While Intoxicated and Driving with .08% of 1% or more BAC. The arrest stems from an investigation of a suspicious vehicle and person at the FastTrac store in the Town of Ovid . Sheldon was released on appearance tickets and is to appear in the Town of Ovid Court on May 21st 2019 to answer the charges.